She is known for being on her toes. “How else would one run two museums? 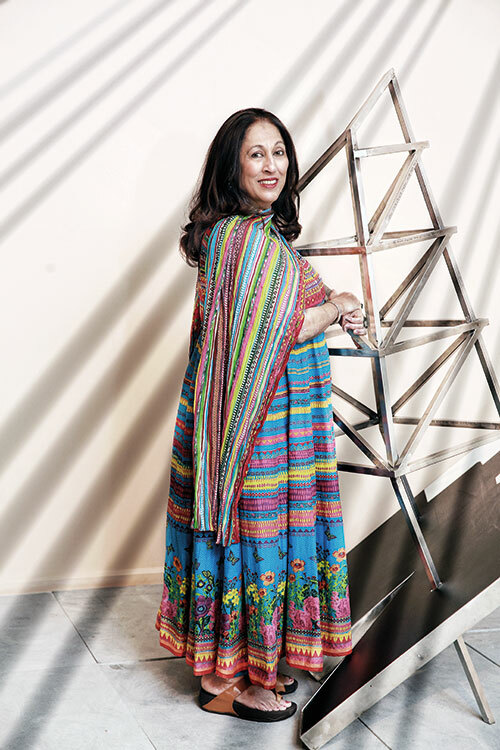 You have to channelise all your energies and work as if there are 12 instead of 24 hours in a day,” says Kiran Nadar, wrapping up work in Delhi before she leaves on a two-month-long voyage that will take her to the Venice Biennale and the Documenta art fair in Athens. The two Kiran Nadar Museums of Art (KNMA), in Saket and Noida, are emblematic of this prolific nature of their founder and director. 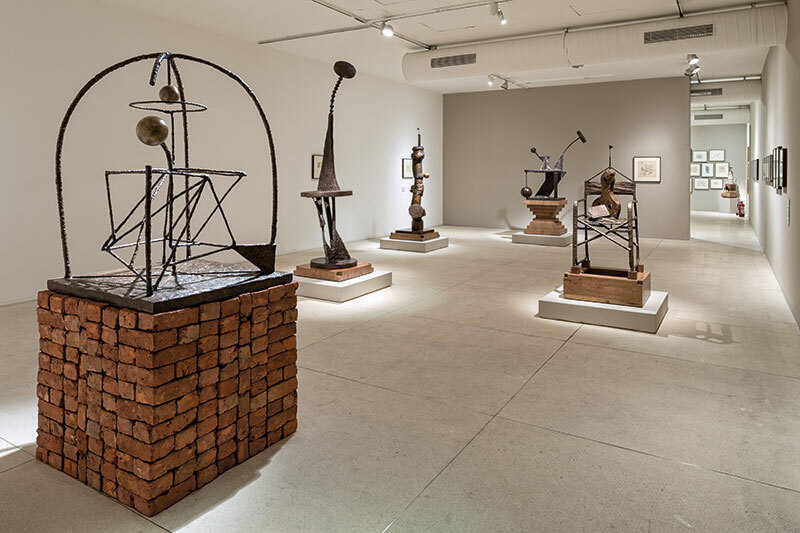 Even as we catch up with her and map her significant rise in India’s art mart, KNMA is exhibiting a string of seven exhibitions titled Stretched Terrains that include solo shows of modern masters — M. F. Husain, F. N. Souza and S. H. Raza — showcasing their formative works from the 1950s and 1960s. There’s also the original model of Delhi’s recently demolished Hall of Nations on display. An avid collector, a philanthropist and an international bridge player who segued into becoming a museum director, Nadar has inspired many within the community. Her affair with art started in the 1980s when she was doing up her house after getting married to technology czar Shiv Nadar. She interacted at length with Husain, who was commissioned to create paintings for her home (iconic works like Yatra and Ganga hold pride of place in her collection). That’s how the romance commenced; of seeing how an artist works, how an artwork develops. Over the years, Nadar’s emphasis shifted from buying artworks to seriously collecting the masters, followed by managing the logistics of owning their creations. As her compilation matured, she pondered over the fact that the works were simply being stored away and not displayed. She hardly got to see many of her own prized possessions. “Great art, and the love for it, ought to be shared. The thought for a museum was conceived through the idea that art should be visible and gain appreciation for what it is,” she says. Nadar received support from her husband, and together they set up the first private contemporary art museum in India in Noida eight years ago (January 2009), followed by another one in Saket’s DLF South Court Mall a year later. Over the years, KNMA has regaled audiences with its unconventional exhibits. No matter how difficult the installation process, Nadar was sure that each new acquisition would ensure an enjoyable dialogue between the artist and the viewer. She is quick to point out such works: “Subodh Gupta’s sculptural installation Line of Control (2012) is a good example of a larger-than-life piece; it is 36 feet high, 33 feet in diameter and weighs 20 tons. It was a dexterous engineering feat installing it at the museum. But the response made it all worth it. When there are initial inhibitions about a certain artwork being installed, I just take it up as a challenge. It eggs me on. Over the years I’ve come to be known as a tough negotiator who is not afraid to take risks, and an adventurous art collector,” she declares. The works exhibit a brilliant range and variety; a testament to Nadar’s own taste for the diverse and unique, and an eye she has developed over 30 years. She owns more than 250 works, some of which are monumental in their scale and size including those by Souza, Raza, Husain, V. S. Gaitonde, Rashid Rana, Anish Kapoor, Adeela Suleman and Atul Dodiya. KNMA’s focus extends to much more than what Nadar holds as personal favourites. 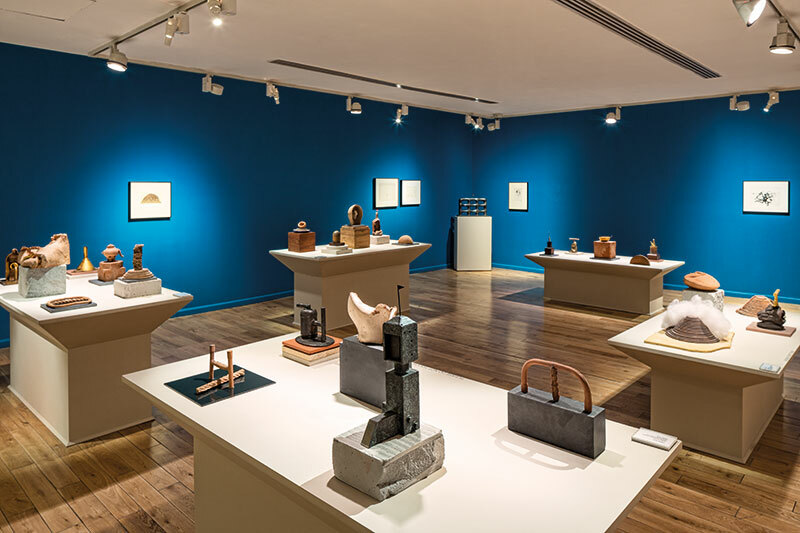 It has a devoted collection of experimental and contemporary art. An ongoing exhibition Hangar for the Passerby is a narrative on the histories of modern art institutions. “It’s all about a dialogue to communicate this history to the looker. KNMA here is the mediator,” elaborates Nadar, adding, “We brought together the oeuvres of Himmat Shah, Jeram Patel and Nasreen Mohamedi in an art historical way so that the three exhibitions could be seen as breakthroughs in the study of abstraction in modern Indian art.” On the rare occasions that Nadar finds time to unwind, she follows cricket and football, and travels to watch international matches. She did not miss the last cricket world cup, the Beijing Olympics and the 2010 FIFA World Cup in South Africa. Her bridge team, The Formidables, is known to participate in global tournaments. Her efforts in creating a supportive platform for artists is garnering global recognition as well. Recently KNMA loaned works of K.G. Subramanyan, Chittaprosad Bhattacharya, Nilima Sheikh and Ganesh Haloi to Documenta 14. “This kind of presence and exposure to seminal artists will have an impact and their contribution will be recognised internationally,” she believes. It’s tough to describe Nadar in a nutshell. And knowing her penchant for growth, she is far from pushing the brakes. While she is soldiering on to build KNMA and secure the global recognition it rightfully deserves, her educational initiatives are providing young talents with new horizons for thought and execution. “One does not need to ‘try too hard’ to be recognised. If you are a genuine art enthusiast, it is natural that the industry will sit up and take note of your work. The museums are now entities in their own right. That’s just the start though. We are aiming higher, much higher — Delhi needs to be on the art map of the world in a strong way,” rounds off Nadar with a reassuring smile.